Outpatient sedation and anesthesia has had a long history in dental offices. Dental procedures aren’t exactly everyone’s favorite past time, hence the saying, “having as much fun as a root canal.” Despite the advances in local anesthesia, many people simply prefer to “be asleep” during their dental work. There has been an increased demand for anesthesia services in dental offices. While some patients may do fine with sedation, others may need deeper levels of anesthesia such as general anesthesia. This can be provided in a dental office and there are a few things you should know and consider before choosing this route. General anesthesia is a pharmacologically produced state of unconsciousness. 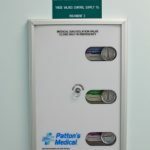 This is what patients routinely receive during medical procedures at the hospital or outpatient surgical facilities. During general anesthesia, a patient does not react or remember any of the surgical procedure. A trained anesthesia provider should administer such a state of anesthesia. Ideally, that anesthesia provider should not be the same person doing the surgical procedure, especially in children or patients with special healthcare needs. Patients should realize that general anesthesia is quite different than “just going to sleep.” While under general anesthesia, the patient must be monitored continuously and may need physiologic support from the anesthesiologist, such as assistance with breathing. Although most medical procedures could be accomplished with local and regional anesthesia (numbing the area with nerve blocks or spinal anesthesia), it is generally expected that general anesthesia will be provided. The opposite is true in dentistry, where most dental procedures are provided under local anesthesia (nerve blocks) without sedation or anesthesia. This need not be the case though. General anesthesia and deep sedation are supposed to be provided in specifically designed medical and dental facilities and offices. The National Fire Protection Association (NFPA) calls such offices “healthcare facilities” and has specific minimal design standards that must be met. These standards are often wrongly interpreted as fire safety issues because of the association’s name, but they are actually patient safety standards designed to prevent any injury or threat to life of patients under sedation and anesthesia. 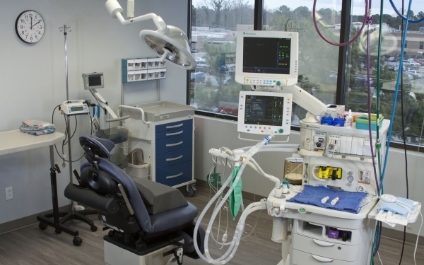 NFPA publishes a document of such safety standards called NFPA 99 “Healthcare Facilities Code.” It is updated every 3 years and requires that any medical or dental facility offering deep sedation and / or general anesthesia meet Category 1 standards. The NFPA Category 1 standards ensure that the appropriate equipment for and testing of the medical gas and vacuum systems are in place. This prevents potentially catastrophic mistakes such as failure of life support equipment or failure to deliver oxygen to the patient when sedated or under anesthesia. Although NFPA 99 is always enforced in hospitals and ambulatory surgical centers, dental offices have typically “flown under the radar.” It was and still is largely on “the honor system” for a dentist to declare that they do this type of anesthesia when building the facility. Many dentists and dental suppliers, whether knowingly or unknowingly, simply do not understand this obligation. This is despite the fact that these standards have been in place since 1996, and are often legally required by building code. Recognizing this problem, and its contribution to poor outcomes in dental offices around the country, the NFPA released a new chapter in the 2018 edition of NFPA 99, specifically about dental offices and facilities. It states that all dental offices offering deep sedation and general anesthesia must be NFPA 99 Category 1 compliant. Those offering only oral and moderate IV Sedation must be Category 2 compliant. Why Does NFPA Category 1 Compliance Matter? NFPA 99 is an American National Standards Institute (ANSI) safety standard. ANSI develops many standards. For example, safety glasses must meet ANSI standards to protect individuals using them. Similarly, NFPA 99 standards are minimal safety expectations of the equipment that is used when providing deep sedation and general anesthesia. Such standards are designed to prevent equipment failures that could potentially jeopardize someone’s life. NFPA 99 also ensures that equipment is installed properly. This is done by requiring certified medical gas installers (American Society of Safety Engineers or ASSE 6010) and is then verified by a third party verifier (ASSE 6030). This helps prevent human errors in the installation and design process whenever building or modifying these systems. How Can One Ensure NFPA 99 Compliance? Alarm panels are required to be readily accessible and in a place that is continuously monitored. 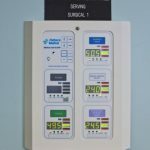 The alarm panels allow real time monitoring of each location using the medical gas and medical vacuum (which is typically separate from the dental vacuum). 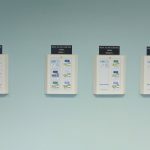 These alarms notify the office when there are fluctuations in gas and vacuum pressures and when there are inadequate oxygen levels being delivered to the equipment. 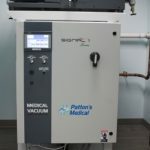 Outside of each room where sedation or anesthesia may be performed there should be a zone valve that can shut off the medical gas and vacuum to that location. This is important if there is a leak or a fire, as the gas may be shut off to that single room without shutting off gasses to other patients. The same thing holds true for a leaking vacuum, which will cause the vacuum to become ineffective in other rooms. In dental offices, medical gasses are usually supplied in cylinders. The cylinders are hooked up to the manifold through the header valves. Each manifold must have a secondary supply header in case one set of cylinders loses pressure and cannot supply the medical gas system. This prevents the system from running out of life saving oxygen. Vacuum regulators and suction canisters should be seen on the walls. These suctions are stronger than dental vacuums and do not have dental traps that can easily be clogged by debris such as tooth particles, thick mucus, or vomitus. We always recommend that you have the ability to see and tour the facility when you or your family member is having their dental procedure performed. The treatment area should look more like an operating room than your normal dental operatory. It should also have sufficient room to accommodate the team and emergency equipment such as a stretcher. In addition, we strongly recommend that you have met your dentist and anesthesiologist prior to the procedure and that they answer any and all of your questions fully. Remember, general anesthesia for dentistry is not your regular trip to just any dental office. Previous Previous post: What is a Dentist Anesthesiologist?